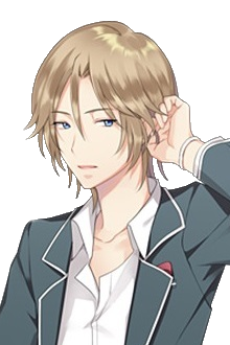 En is a 3rd year at Binan High who will only ever move at his pace unless he's in a bind. He can often be seen hanging out with Atsushi Kinugawa - Atsushi calls him "En-chan", he calls Atsushi "Atsushi". He becomes the Flashing Prince, Battle Lover Cerulean, who controls water.